In 1992, Baltimore’s Camden Yards became the first newly-constructed MLB stadium to feature the “retro” look and feel—sparking a trend that would be followed in the coming years by several other organizations building new venues. 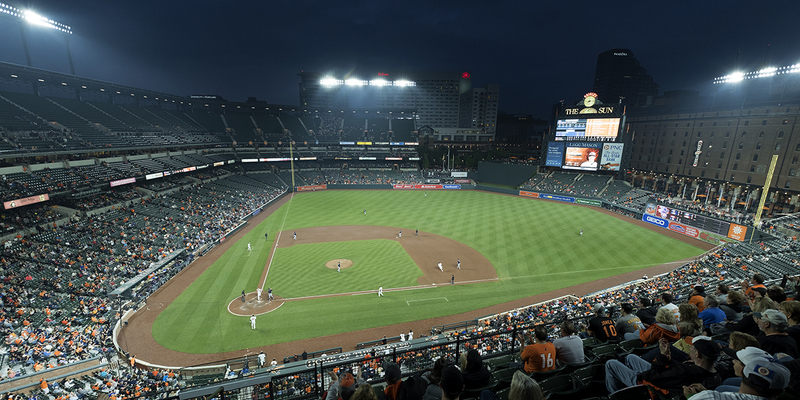 While it’s still considered one of the best stadiums in baseball, when it was time for a new lighting system to replace its original HID lighting, the organization knew it was an opportunity to make Camden Yards even better. 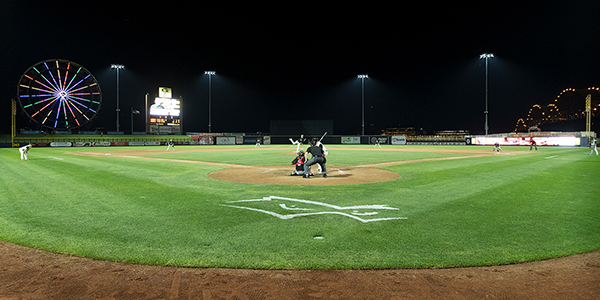 Looking to improve visibility for players, reduce energy consumption and operating costs, and lessening the impact of glare on neighboring downtown buildings, Orioles chose Musco’s SportsCluster® System with Total Light Control™—TLC for LED® technology. 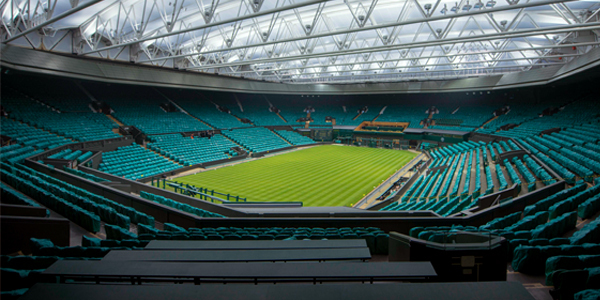 Light Quality – the 440 LED fixtures produce a whiter and more uniform light on the field, improving the visibility for players when tracking the ball. Energy Efficiency – the new system will reduce energy consumption 54 percent, and its C02 reduction is the equivalent of taking 1,240 cars off the road for a year. Cost Effectiveness – with the LED lighting in place, operating costs at Camden Yards will be cut by $1.2 million over the next 15 years. 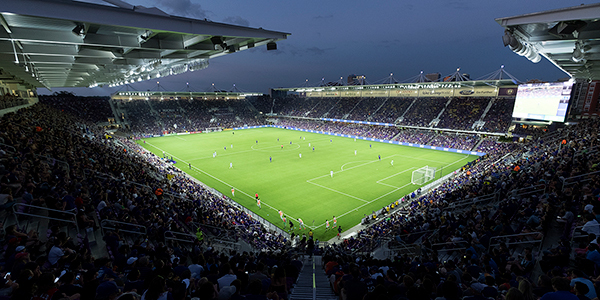 Glare Control – custom-designed reflectors and patented glare control technology puts more light on the field and virtually eliminates glare from impacting surrounding buildings. Musco’s long-term parts and labor warranty means the Orioles won’t have to handle or pay for maintenance for the next 15 years.